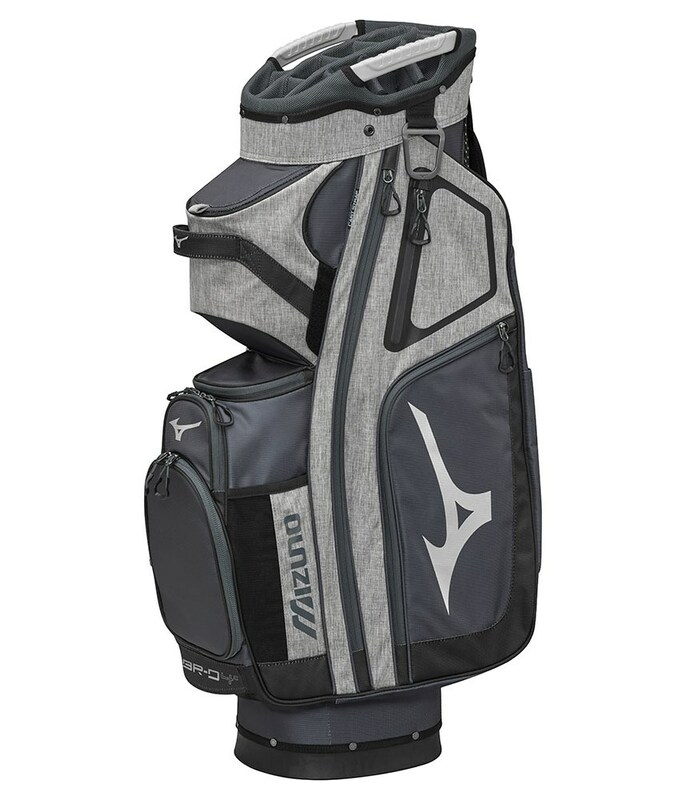 The Mizuno BR-D4 cart bag has been designed to provide the golfer who uses a trolley or buggy all the time and wants a hassle free round of golf. 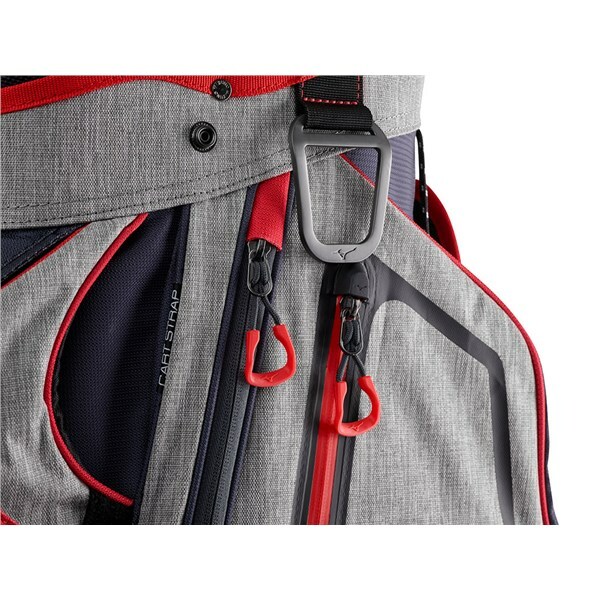 Nine cleverly designed and extremely well positioned pockets provide excellent storage solutions and allow you to organise your equipment so that it is at arm’s reach when on the move. 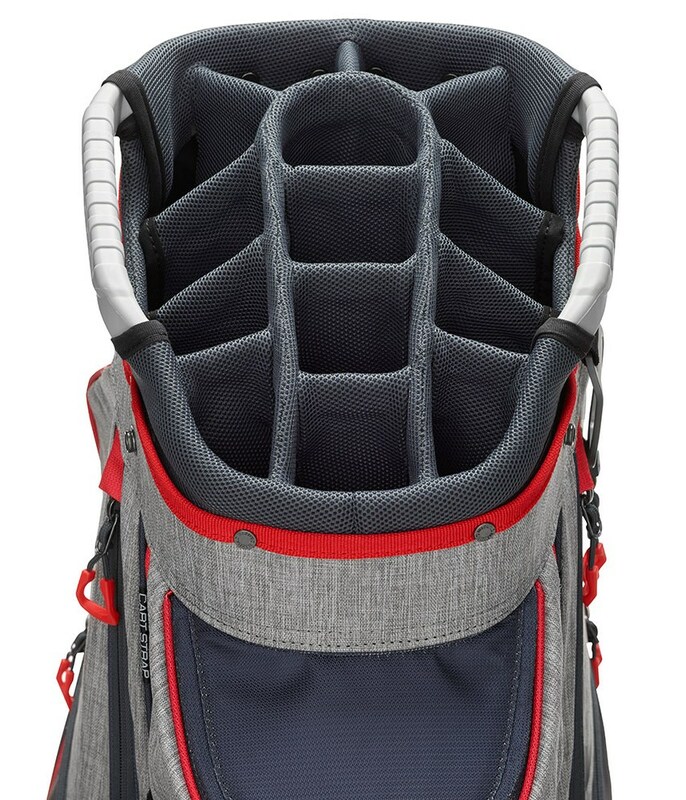 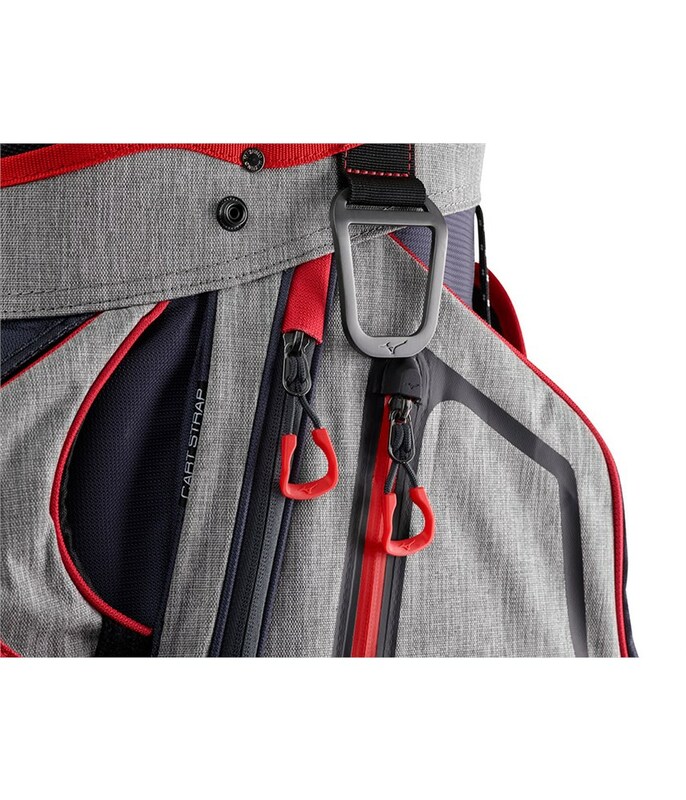 A spacious top cuff design featuring a 14-way full-length divider system helps provide exceptional club management and protection to your clubs on the way round the course. With an empty weight of only 2.75kgs the bag is lightweight without sacrificing durability or performance. 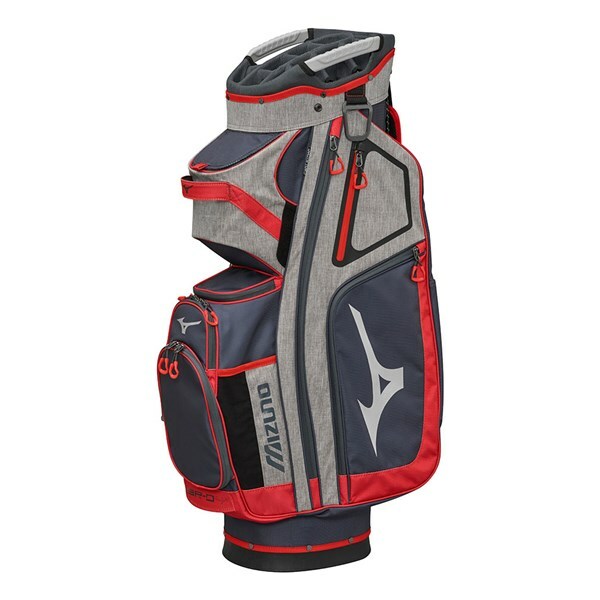 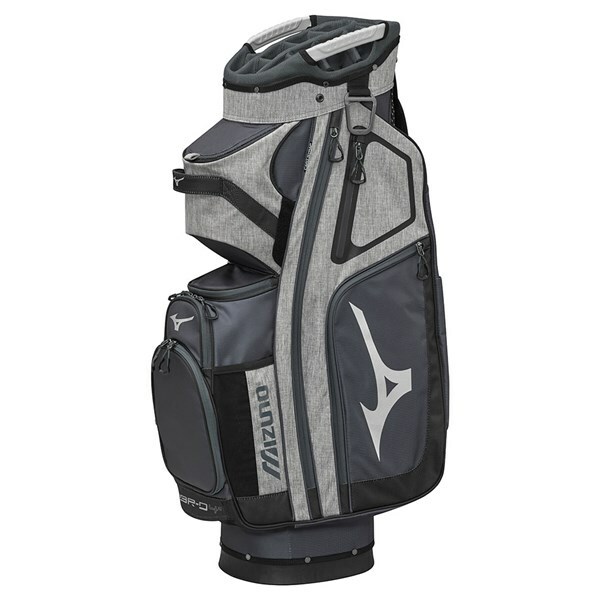 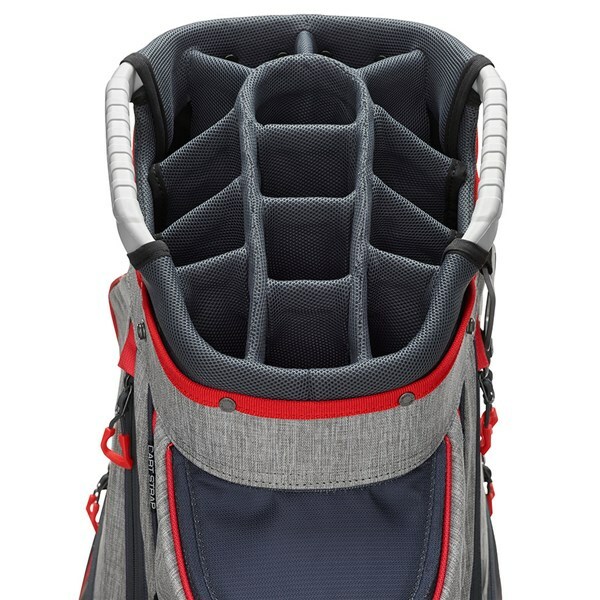 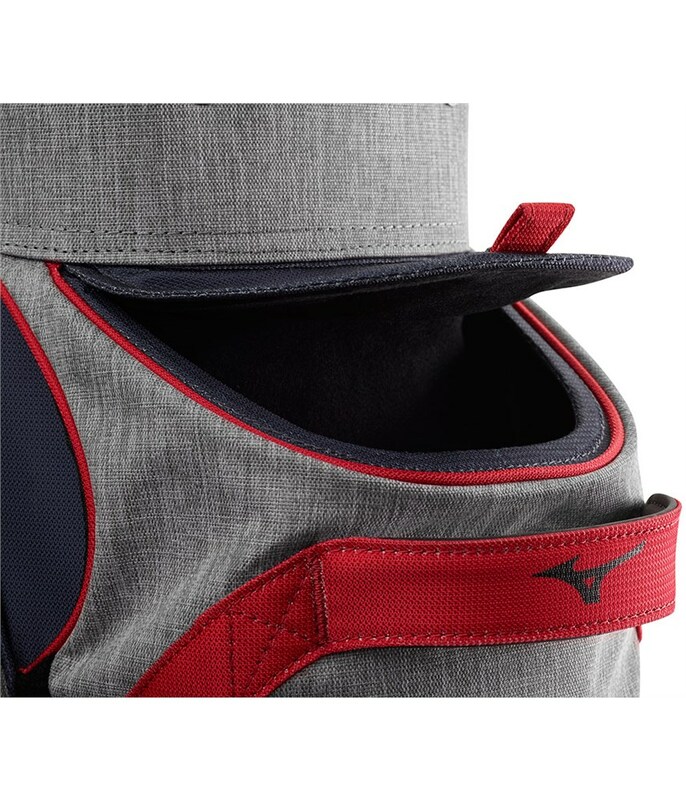 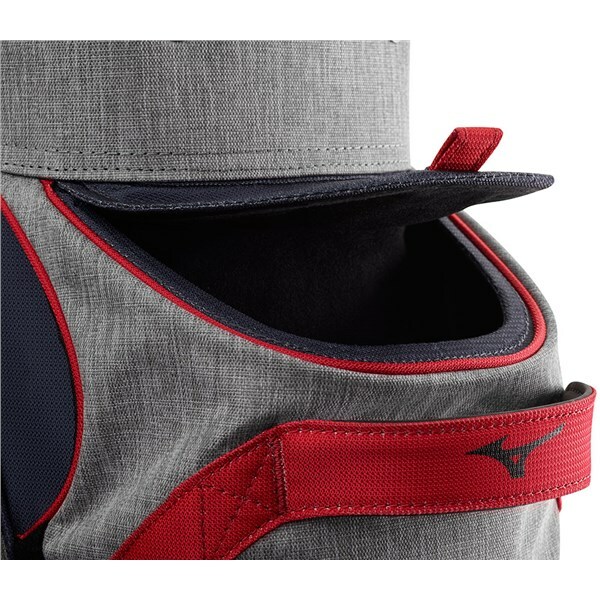 To make lifting a loading easier Mizuno have positioned three separate areas where you can lift the bag, two moulded grab handles in the top cuff design, a grab handle half way up the bag and one at the base. For improved performance on a trolley or buggy Mizuno have used a cart friendly base unit, this particular base design will provide a secure fit that will reduce twisting on uneven ground.